The guesses are in! The longest guess was 8 hours and the shortest guess was 30 minutes. Read on for the details . . .
That would be nice, though. Here’s what that area looked like after only 15 minutes. Not too bad, eh? Everything that I touched I put away. 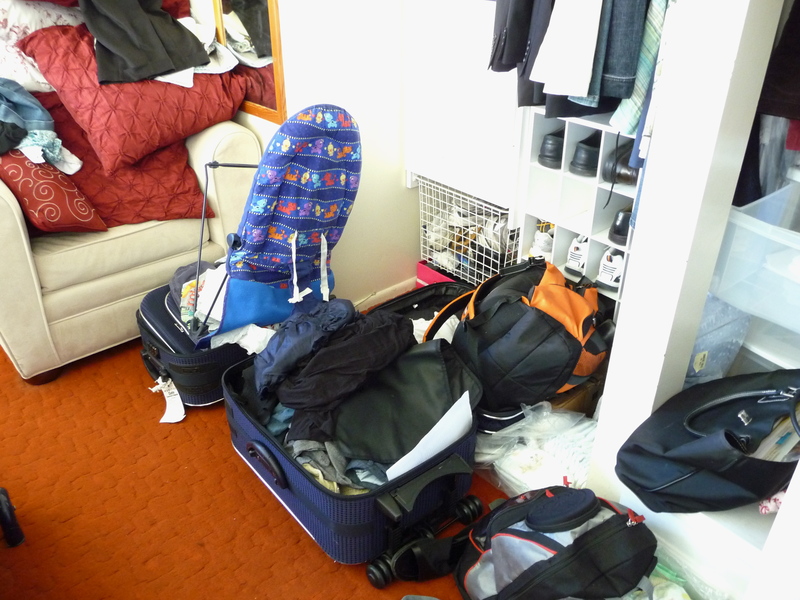 If I had a bunch of stuff to put in another room, I made a pile and then did those all at once so I wasn’t running back and forth between rooms. And this is after a second round of 15 minutes. Voila! 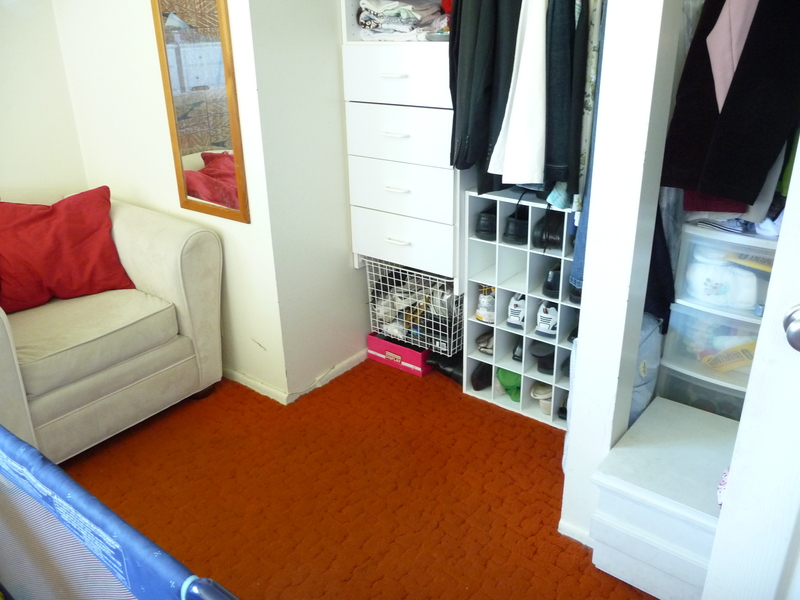 Now you can really see our gorgeous carpet. Yeah, baby. That’s what I’m talking about! I’ve seen worse. Much worse. So there you have it. The real thing, 100% natural, no preservatives added or anything like that. It took 30 minutes total! So the winner is: HEIDI JARVIS!! She guessed 30 minutes. So Heidi, either email me or leave a comment letting me know what you want me to talk about next and I’ll get right to it. Now trust me when I tell you that that pile was daunting to me. It had sat there getting worse by the day for over a week and a half. No joke. I finally couldn’t take it anymore. The timer allows you to stop and take a break. I even took breaks during the 15 minutes. I would just stop the timer, change a baby’s diaper or get lunch for the kids, then start the timer and continue. The timer allowed me to focus on only 1 room at a time. There’s no need to go all crazy and try to tackle the entire house at once. Nothing gets done and you feel like you’ve been busy all day but nothing to show for it. Try using a timer. It works. I just proved it to you. I’d love to know what piles you plan on tackling, how long you thought it would take and how long it actually took. I’d even love to see before and after pictures – they’re fun! 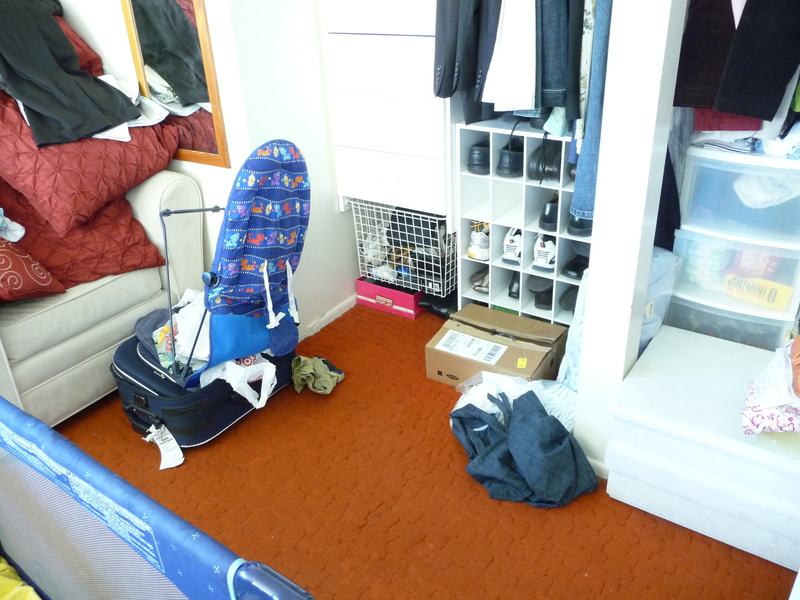 This entry was posted in Cleaning, Organizing and tagged cleaning, timer, unpacking. Bookmark the permalink. Honest to goodness, I think I need to get my thyroid checked. lol Everything seems to be taking longer these days.